Whoever coined the phrase “familiarity breeds contempt” was certainly not a salesperson. In today’s über-competitive landscape, the uninformed sales pitch will likely be stillborn, and with good reason. With so many resources available to learn about a targeted, potential client, there’s no excuse to enter into conversation without a working knowledge of the company’s business, its personnel, its industry at-large and the competitive landscape. And there’s no reason for that company’s rep to engage with you either if you haven’t done your homework. Even the most modest individual has an ego, and the fastest, most natural way to break the ice is by showing that you have a genuine interest in them—in this case, their enterprise. Let’s take a look at five ways you can become somewhat of an armchair expert on a potential lead—before that first call or handshake, and before your competition walks off with the sale. The first stop, of course, in getting to know your client will be their website. Glean all the information you can about their business, products & services, and get the names of the key executives within the firm. A VP or head of sales vs. the CEO might be your best point-of-contact, so identify who’s most likely to do business with you. Next step, pop those names into a LinkedIn search. Aside from picking up some additional information about the company you’re targeting itself, you’ll probably learn some valuable background about the contact(s) to whom you’ll be reaching out-- where they worked in the past, their various skills and accomplishments. All these things may provide some great conversation starters or topics to raise at appropriate times in the dialogue. You may just be “meeting” the individual you’re speaking with, but this knowledge will give you an air of familiarity and establish rapport with them in the process. Don’t stop there. 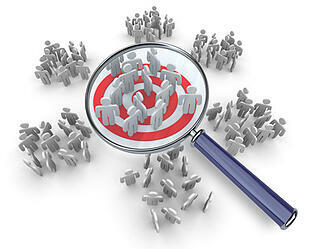 Enter those same names into a Google Search and start following those individuals’ footprints on the Web. No, this is not stalking—and yes, it would be ill-advised (and creepy) to bring up questions or make comments to a complete stranger about their personal life and family. Keep it professional, and see what symposiums or conferences to which the person may have contributed. Maybe they have been the focus of some industry news or they’ve been recognized for some significant success. Anything pertinent that has taken place in the business forum is fair game for discussion or prepping yourself for your interactions with a new lead. Perhaps your targeted client works in a realm in which you frequently operate. Terrific! You undoubtedly have significant built-in knowledge as you start this new dialogue. But whether you do or not, some additional research can’t hurt, especially if it’s a dynamic field with changing trends, products and technologies that are regularly upgrading. Here’s where you become that armchair expert, if not a true professional in the segment of industry in which this prospective client trades. The more you know about current news, trends and products in this realm, the more likely that this prospect will view you as someone who understands his business, and as a more likely candidate to assist in the growth of that business than your competitors. Most of the basic information you glean about your prospect’s products and services is likely to be found on their website. But go deep. Are their goods sold on Amazon or industry-specific e-commerce sites? You may find additional and even more valuable information there in the form of third-party reviews, customer feedback and comparative studies. If products are touted highly and selling well, you have some pleasant anecdotal subject matter with which to pepper the conversation. Explore ways that you can build on this success. If the products are eliciting some consistent criticism and are trending downward, discuss how you may be able to stem the tide and reverse the trend. Either way, have a full working knowledge of your prospect’s wares when your conversation takes place. Identify the significant accounts that your prospect’s business services and, as best you can, research their satisfaction index by learning how long they’ve been transacting, what products and services they purchase and, perhaps more important, which ones they don’t. Finding out what business gets lost to a competitor, and why, could potentially brand you as a valuable resource from the get-go. You’ve researched your client, their industry and their customers, what else could be informative for you, and potentially valuable to your prospect? That’s right—knowledge about their competition. If you mirror the research efforts you put into learning about your prospect into exploring their chief business rivals, it will further your understanding of the potential client’s trade and strengthen his perception of your expertise. And, if you’ve dug deep enough, you may be able to share some key information that might help you seal your deal.